Florida Gov. Rick Scott announced measures Saturday to protect the state's elderly population during emergencies, following a national outcry over the death of eight residents of a nursing home that lost power after Hurricane Irma. The Scott administration issued emergency rules requiring all nursing home and assisted living facilities in the state to purchase "ample resources," including a generator and fuel, in order to maintain operations and "comfortable temperatures" for at least 96 hours after a power outage. The action will also require each facility to have the generators inspected and an emergency plan approved by the government, according to a press release announcing the measures. Officials said the executive action brings Florida's elderly care facilities up to the same standards as hospitals across the state, and will remain in place for 90 days while the state continues to recover from the devastating storm, which has still left almost 975,000 customers without power. In a tweetstorm announcing the new measures, Scott said that he would "aggressively fight" to codify the new emergency rules into law within the next year. He also tweeted that he was "outraged" over the deaths Wednesday at the Rehabilitation Center at Hollywood Hills, where residents had endured sweltering conditions after Irma knocked out electricity last weekend. "We must understand their decision to keep patients in danger," Scott tweeted. I am outraged over the deaths at Rehabilitation Center at Hollywood Hills. We must understand their decision to keep patients in danger. 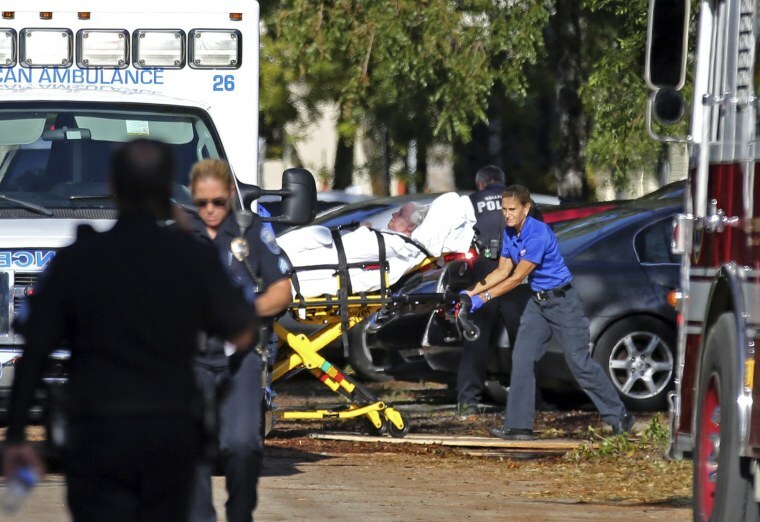 But administration officials at the facility in Hollywood Hills, 20 miles north of Miami, have pushed back against claims that they did not take proper steps to ensure their residents' safety. Jorge Carballo, the nursing home's administrator, said in a previous statement that the facility and its staff had "diligently prepared for the impact of Hurricane Irma" and were fully cooperating with authorities. Several nursing home administrators also said that prior to Irma's arrival, the governor gave the facility a cellphone number to contact him directly if there was a problem during the storm. Officials said they dialed the number multiple times to report that the facility lost power — and even tried Scott's personal cell — but it took days for them to receive help. The governor's spokeswoman, Lauren Schenone, confirmed that the calls did take place and said that caregivers were instructed to dial 911 if they felt their patients were unsafe. She also added that the rehab facility is located across the street from a hospital, which did not lose power during the storm. "At any point in time they could have evacuated anyone they thought was in danger," she said Saturday. "Obviously their duty is to keep their patients safe, which is something they failed to do." Schenone said the governor's executive action aims to prevent similar deaths from occurring in the future. Elderly care facilities now have 60 days to comply with the new rules, or face fines of up to $1,000 a day and possibly have their license revoked. Daniel Arkin and Kerry Sanders contributed.